Maud Wagner was one of the last tattoo artists to work by hand. Scientists believe tattoos have been around for more than 5,000 years, but it’s only recently that society has allowed women to embrace their interest in ink. Maud was born in 1877 in Kansas. As a young woman, she performed as an acrobat, aerialist and contortionist for local circuses and carnivals. In 1904, she began performing at the St. Louis World’s Fair. Gus was immediately taken with Maud and offered to barter tattoo lessons in exchange for a date, proving that some things never change. Maud soon became Gus’s apprentice. The couple married after a few years, withdrew from circus life and began traveling the country, administering tattoos at fairs. When their daughter Lovetta turned nine, she joined the family business as a fellow tattoo artist. 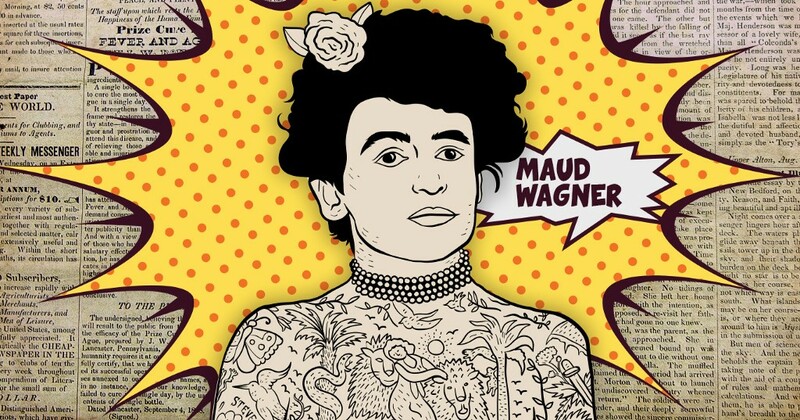 By the time Maud Wagner died (in Lawton, Oklahoma in 1961), her body was almost completely covered in tattoos. Her tastes were eclectic: her body art included everything from sketches of animals and trees to patriotic images. Maud was not the first white American woman to get a tattoo — that honor belongs to Olive Oatman. After Olive’s family was killed by Yavapai Native Americans during the 1850s, members of the Mojave tribe adopted her and tattooed a traditional tribal sign on her chin. Maud was, however, the first white American woman to learn to give tattoos to others. In the first half of the 20th century, women who dabbled in ink were stigmatized. They were considered to be lascivious or immoral. Others were relegated to the circus, treated as freaks and aberrations. 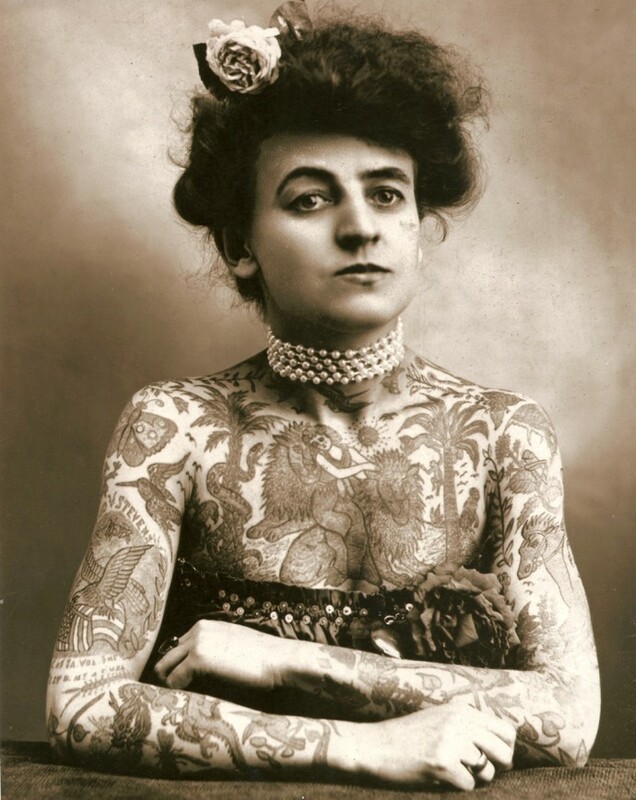 Maud played a critical role in normalizing body art for women. Maud and Gus are also credited with helping to spread the art form across the country — historically, tattoos were associated with sailors. As a result, people living in the interior US — away from the coasts — weren’t exposed to tattoos. During their cross-country tours, the Wagners brought tattooing inland. For years after Maud died, most tattoo seekers were men. But in 2012, the market research firm Harris Interactive released a poll that found — for the first time ever — women are getting inked more than their male counterparts.